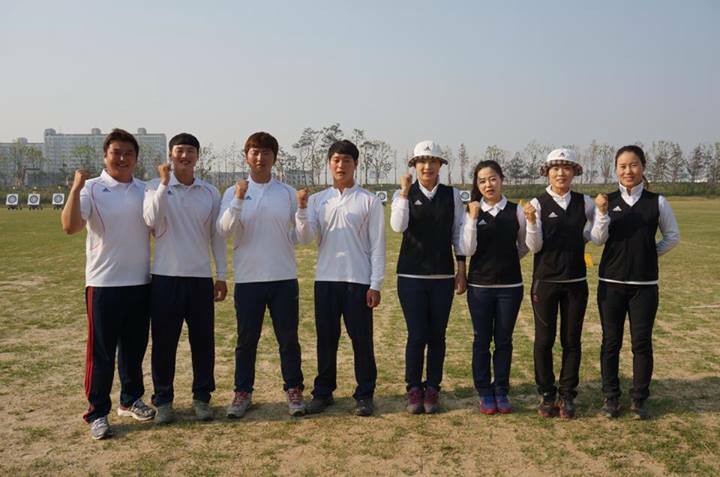 Where is the Korean recurve team at #WC Shanghai? Answer: Shooting… in Korea. 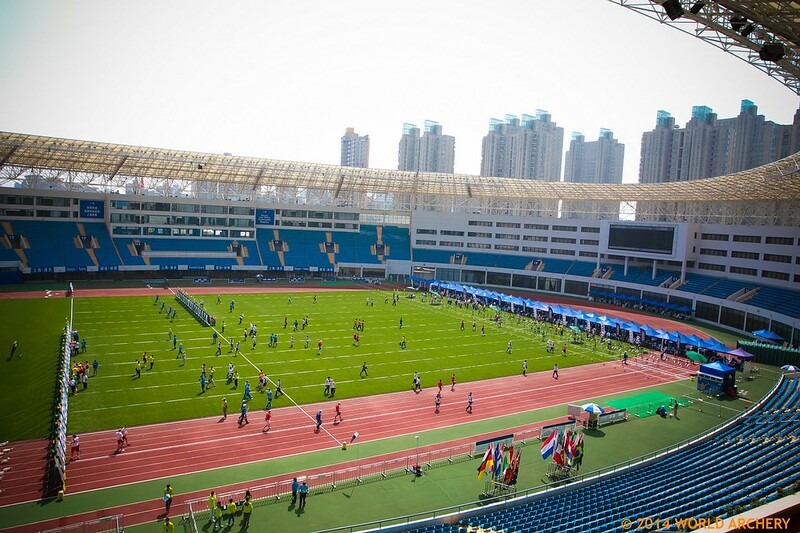 The picture above was put up by the Korean Archery Association on their Facebook page today, as the ranking round took place at the Yuanshen Stadium. The Korean team frequently skip one or more stages of the World Cup, presumably because they are sure they can get enough points for the grand final in two competitions. Apparently this year they will be in Medellin and Antalya, but not Wroclaw, because this year the Wroclaw date clashes with a national shoot in Korea. Clearly, they can’t be bothered with these tuppenny-hapenny international tournaments when there’s serious work to be done at home – and of course, the standard of competition is likely to be higher. It’s a wonderfully intransigent statement to the archery world. “You fit round us, we don’t fit round you.” But it’s also a shame for the archery audience, because it lessens the sporting spectacle when the biggest dog in the fight doesn’t show up. Thanks to fanio for pointing something out.